Line 2 large baking sheets with parchment paper or a silicone baking mat. Once your butter is creamy, add the brown sugar and white sugar. Beat well until fluffy, at least 1 minute. Scrape the sides halfway through. Add the vanilla and one egg. Beat well. Add the next egg. Beat, scraping the sides. Use a small spoon to stir the baking soda and salt into the flour. Turn the mixer on low and beat until there are still a couple streaks of white flour. You want to stop mixing as soon as the flour is mostly incorporated. 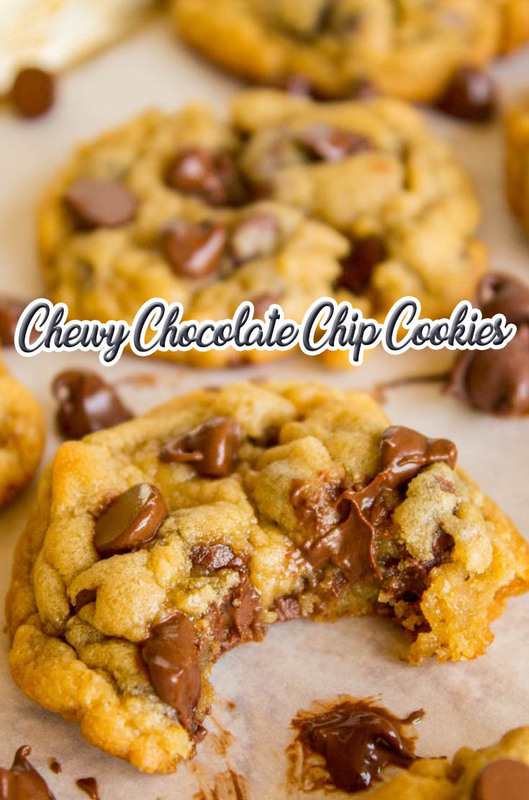 Add the chocolate chips and mix until just barely combined. Don't over mix or you will get tough cookies! Bake at 350 for about 9 minutes. Depending on your oven and how big you shaped your cookies, you might need to bake for as long as 11 minutes, but you want to take the cookies out of the oven when they are VERY pale on top and have just barely started browning on the edges. See photos. Immediately after you take them out of the oven (seriously, don't wait) use two spoons to gently push each cookie together. I just used two regular spoons, the kind you eat cereal with. Push the cookie together so that it comes up a bit in the middle, that's how you're going to get a soft, thick center. If you wait even just a minute after taking them out of the oven, the brown edges will start to crisp up, and you won't be able to shape the cookies. Work your spoons all the way around the edges so that your cookie is a nice circle shape. Work quickly to shape all the cookies before they crisp on the edges. Let the cookies cool on the pan for several minutes. They will continue cooking on the hot pan, even after you take them out of the oven. Remove to a cooling rack after the cookies have set. Dip in milk and let all your cookie dreams come true!